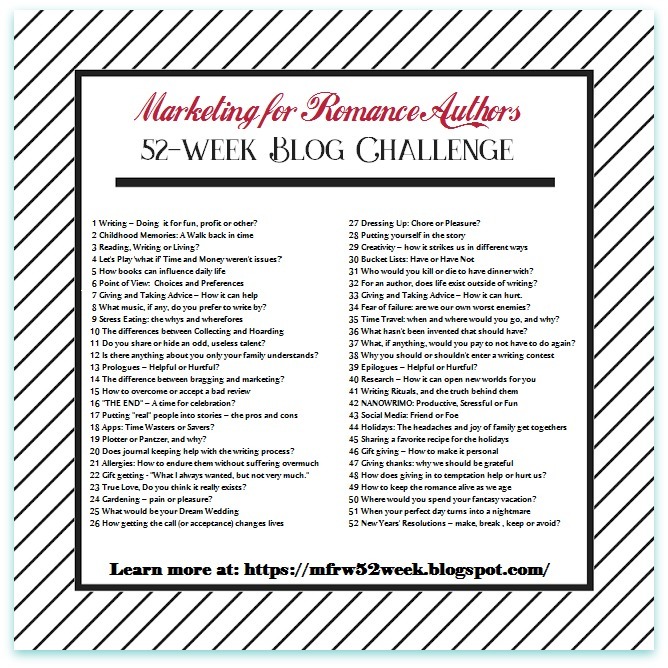 Welcome back to Marketing for Romance Writers 52-Week Blog Challenge. I’m so late getting this out today. If you want a full answer to this topic, I’ll have to back up quite a few years when my family was together. I had young boys and a husband at home, and like many authors with a family, I worked around them and their schedules, as I dabbled in putting words to paper—yes paper—pre-computer. My family came first because I didn’t know any different. As time went on, my boys survived their mom trying to become a writer by knowing I chose to do something for myself. They’ve always had that kind of compassion where I’m concerned and have always supported me. Without them, I wouldn’t have become computer savvy. Many nights while they were out doing whatever, and dating, I’d call them all freaked out when I thought I broke the computer. LOL. They talked me down and explained what I had to do to make it work again. Now, I’m geeky when it comes to my computer. They survived, even when I called them on dates. My poor husband (at the time) would go to bed early and have to sleep alone while I sat downstairs with the dog, as I hammered away on the computer in another world. He wanted to see me finish the book. It took place where he grew up in the Allegheny Mountains. Once I had written the first book, I’d read it to him in bed. It surprised me that he wanted me to. So, yeah, they all survived in their own ways. Things haven’t always been that way. I’ve been with men who didn’t understand or want me spending time writing, so I didn’t. I gave in, for a while, but I couldn’t stop writing forever, so I didn’t. My oldest son bought my first laptop so I wouldn’t have to give up my writing when around those who didn’t understand how important it was to me. Now, I’m alone—not because I left anyone to write—I’m stronger than that, but because life gets in the way and takes you in directions you never thought you’d go. So, today I have no other schedules to work around. I’m fine with that because I won’t survive with someone who doesn’t want me to live my dream. You all know this is a blog hop. 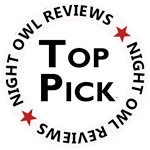 Let’s visit the others at Marketing for Romance Writers Blog who are hopping.